Enjoying a region's flavours is one of the most appealing things about any trip. Even more so if you're going to Donostia! From the famous restaurants with their Michelin stars to pintxos, cider houses, grill houses and open-air restaurants. There are hundreds of culinary options in Gipuzkoa, our small province. Which is why, gourmet traveller, at Sagarlore, too, we want to offer you the best flavours from our land. As well as breakfasts based on local products, we have created Gastro-Lore, a light supper service making flavour and quality in main players. We offer fresh salads made using vegetables recently picked from plots near the hotel, various types of omelettes made using Eusko Label quality-approved eggs, sandwiches and mixed plates with Basatxerri meat, Urkaiko hamburgers and, finally, Idiazabal cheese, Larreta hand-made yoghurts and home-made desserts made by our staff in the hotel. You can enjoy all of this along with Petritegi cider, made in a 16th century cider house just 300 metres from the hotel, and craft beers from Basqueland Brewing and Mala Gissona. Gastro-Lore will fill your stay in the Basque Country with flavour. 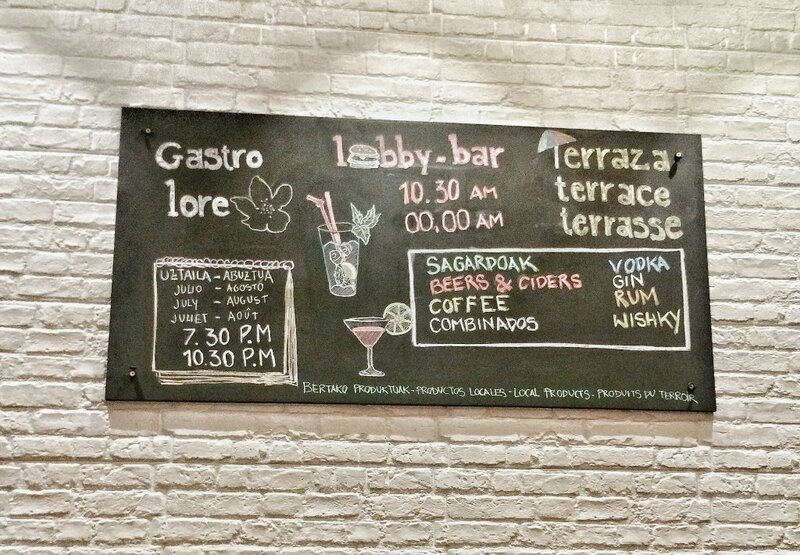 Gastro-Lore is open during August from 19:30 to 22:30. Please contact us at reservas@sagarlore.eus or by calling +34843 931 000.